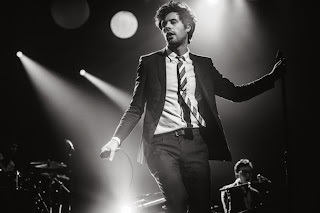 Recently, Passion Pit had to cancel an outdoor show in Wilmington, North Carolina because of rain. This is shortly after a Chicago rainstorm ruined much of the band’s equipment during a show, but the cancellation still led to some fans grousing on Twitter about how bands should still play the shows they’ve agreed to play. Whoever runs the band’s Twitter has addressed many of those complaints in the last few days, and now they’ve decided to write a whole long, structured statement about how they hate canceling shows but sometimes it’s unavoidable. The basic point of the statement is that touring is a chaotic and ever-changing business, and there are all sorts of things that can come up and force a band to sit out a show or two: “The bottom line is that every day a band tours and doesn’t play a show, they hemorrhage money. This is a costly, tricky business, and all we want is for everything to go smoothly and to have fun. But tour doesn’t always work that way and we apologize for things that are completely out of our control… Please understand that if Passion Pit cancels a show, it’s canceling a show for a damn serious reason, and we’re not messing around with our fans. We’re trying our hardest and we are so sorry for the inconvenience. There’s only so much we can do.” The piece also outlines many of the reasons that Passion Pit have had to cancel shows. You can read the whole thing here.